From Billboard - January 19, 1957: The Hi-Fidels consist of Barnes on bass, Bay Perry, drums and Joe Knight, piano. The trio works over a number of torch, lazy mood ballads in almost a cocktail lounge style. 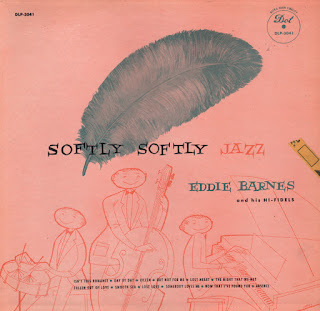 Individual flights are few with the spotlight largely falling on Barnes' rather throaty, deep down bass vocalizing. Jazz, in the strict sense at least, is almost a misnomer here. Nevertheless, tunes are agreeable and some may find them okay for background purposes. Market, however, would have to be called limited here. 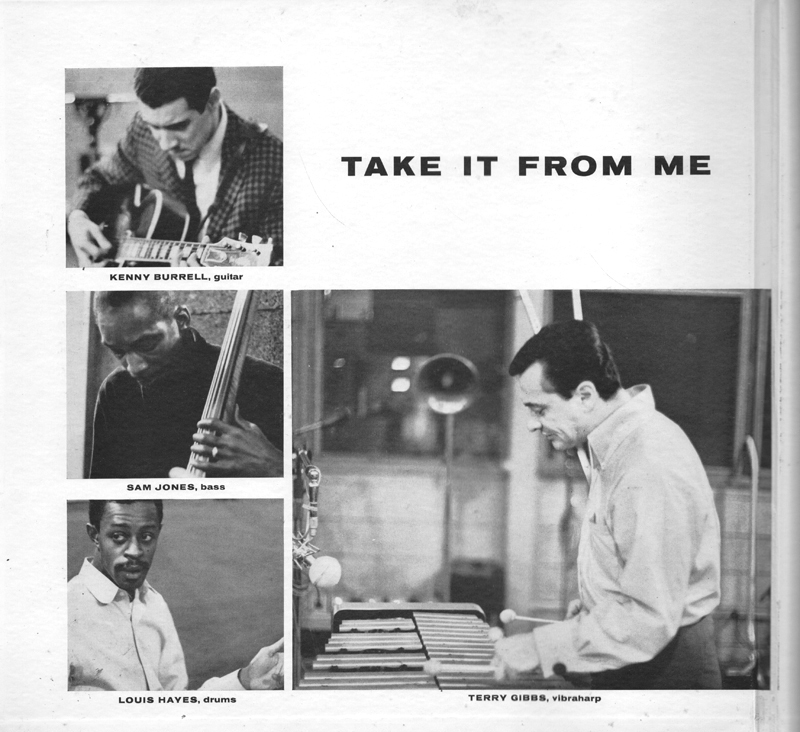 From the back cover: Eddie Barnes: The bassist and vocalist with The Hi-Fidels, was born in Beaumont, Texas, March 22, 1924. He started singing while attending school and sang regularly with both the school choir and band. After leaving school he vocalized professionally in the club circuits on the west coast. He served three years with the U.S. Army and upon being discharged (1946) headed for New York. Eddie has recorded with many of the major companies here in the east, and has two Town Hall Concerts to his credit: – one with Theolonius Monk at Piano and Oscar Pettiford, Bass. He played with many good jazz groups, outstanding of which was Tiny Grimes. Bay Perry (Drums): A Bostonian who comes from a musical family. Many jazz fans will remember the late Ray Perry (alto saxophone and violin with Lionel Hampton's orchestra). There is another brother, Joe, who is keeping things musically moving up in bean town. Bay has travelled extensively and has, during lapses in touring, squared away to study serious percussion. The jazz groups he has played with attest to the fact that he has plenty of jazz experience – Howard McGhee, Theolonius Monk, Mary Lou Williams. Joe Knight (Piano): A 34 year old Brooklynite, who until 1945 did not know he was destined to be a professional musician. In 1947, he joined the Hot Lips Page band as a pianist and from then on came a whirlwind of unexpectancies – in 1948. Don Redman, Pete Brown. In 1952 he joined Earl Bostic and really put in some mileage. In 1953 he joined Lucky Thompson at the Savoy Ballroom. Since 1953, Joe resumed serious piano studies in the approach to jazz, has given the trip a real subtle sound. From Billboard - January 27, 1968: Although there is some question about the current popularity of flower youth, a quality album like this always is welcome. 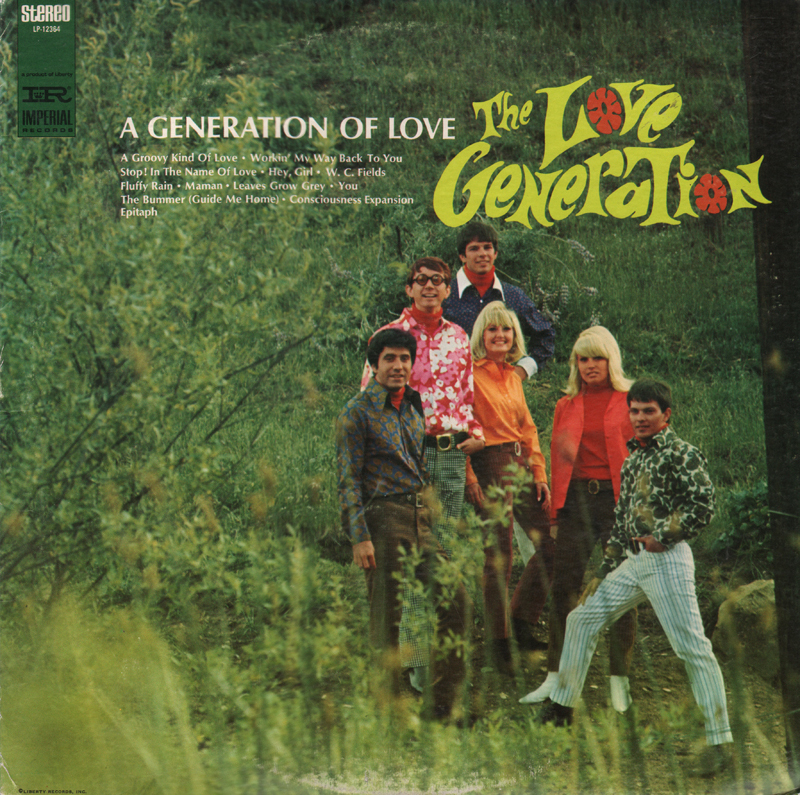 In there second album, the Love Generation drives with "You" and hits a gentler beat with "Epitaph" (A World Without Love)." Included in the 10 other selections are new dimensions for such recent songs as "Workin' My Way Back To You" and "Stop! In The Name Of Love." Cover photo & design: ARW Productions, Inc. Recorded: December 1964 - Bell Sound Studios, N.Y.C. 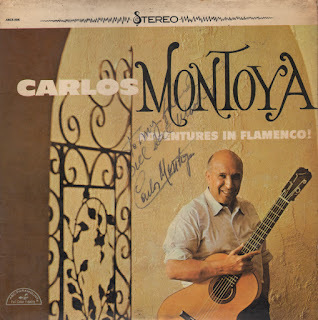 From Billboard - March 30, 1965: The master of the classical guitar is in his metier with flamenco standards. He's equally impressive with the improvised material in this album. It's the sound that packs concert halls. 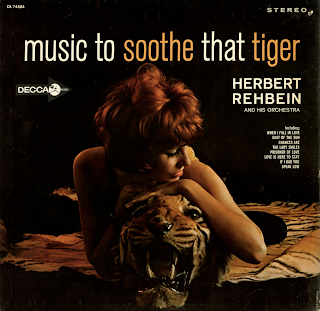 Seems like this set is available from online vendors as part of a "Rehbein collection" but not associated with this fab cover art. I will not be posting a sample. Terrific cover art and mood set. The smoky jazz saxophone touches by Wurster make the set special. 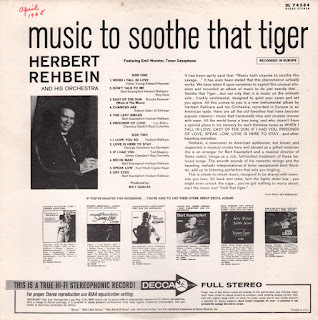 Rehbien's lush string mood compositions/arrangements are accomplished. Added, subdued violin solos and strumming guitar backup are just icing on the cake. 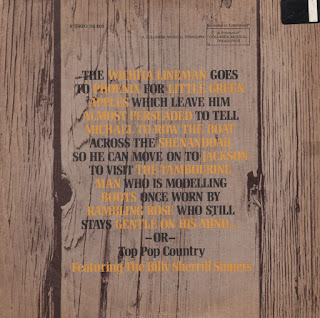 From Billboard - February 6, 1965: This album title understates the contents. The tunes and arrangements could sooth the most savage of beasts. 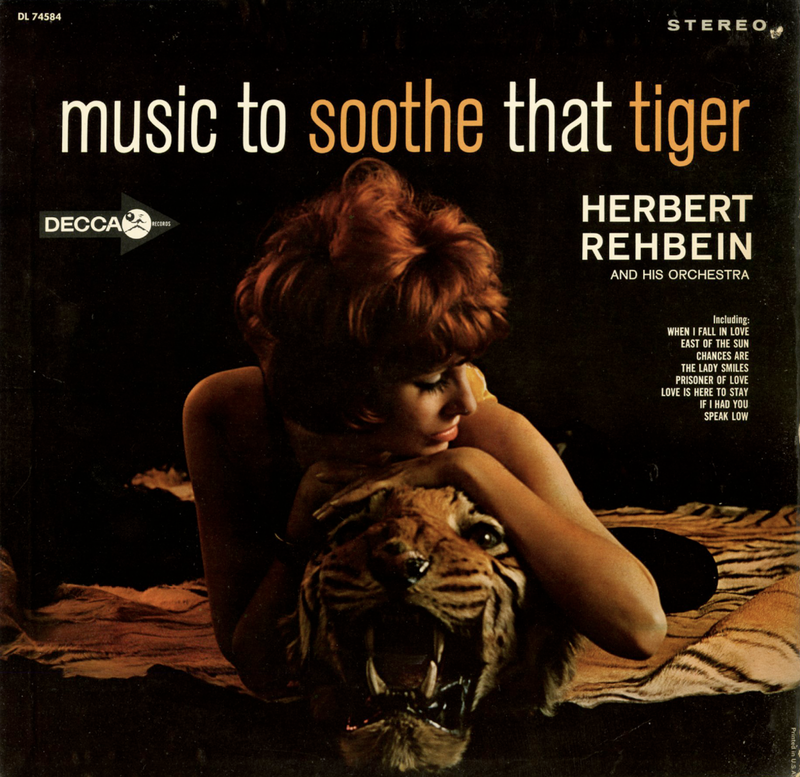 Lush, smooth strings and brass envelop the listener into relaxation. 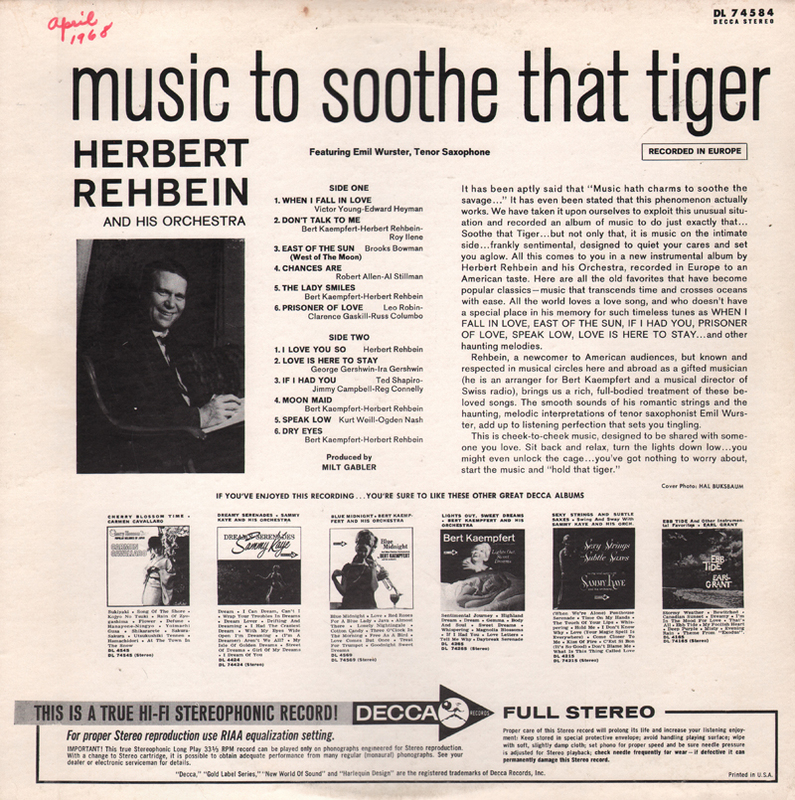 From the back cover: Rehbein, a newcomer to America audiences, but known and respected in musical circles here and aboard as a gifted musician (he is an arranger for Bert Kaemphert and a musical director of Swiss radio), brings us a rich, full-bodied treatment of these beloved songs. The smooth sound of his romantic strings and the haunting, melodic interpretations of tenor saxophonist Emil Wurster, add up to listening perfection that sets you tingling. 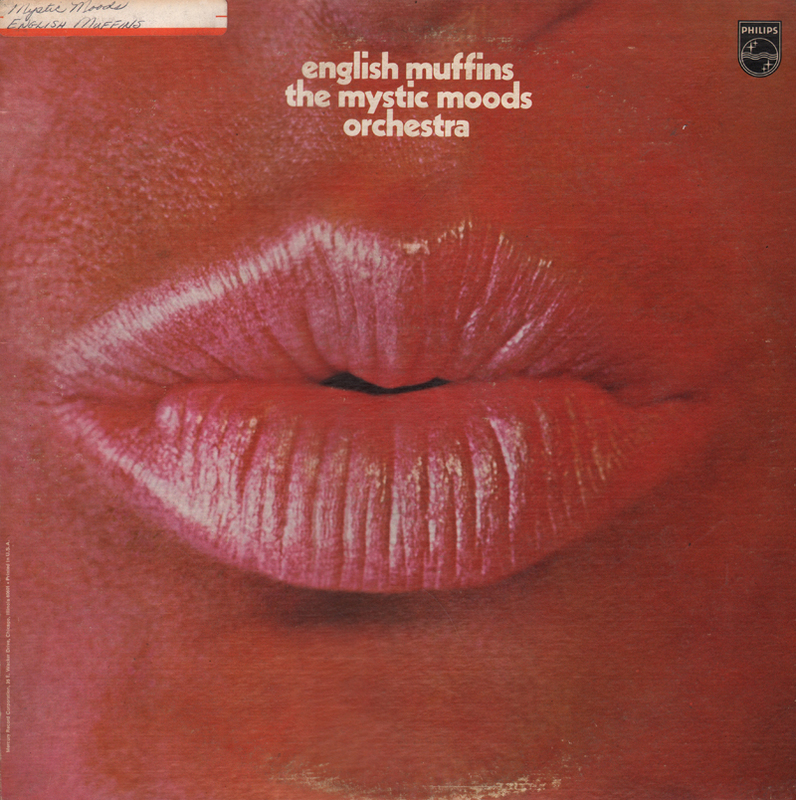 From Billboard - October 31, 1970: Britain is the spotlight attraction in this latest entry by the Mystic Moods Orchestra, and it should follow in the same successful footsteps of their previous albums. 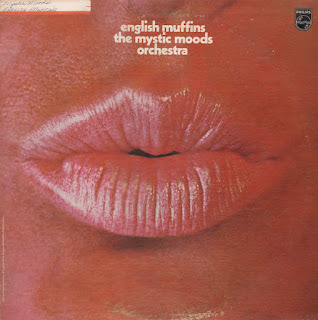 Featured are "England Swings," "Words," "Early In The Morning" and "Ticket To Ride," and the smooth and lush orchestrations are enhanced by the intriguing sound effects accompanying each selection. Another creative entry in The Mystic Moods catalog. Recorded at RCA Victor's Studio A New York For Jayme Prods., Inc.
From Billboard - February 20, 1960: An extremely marketable group of sets, which can acquire more salability due to the opportunity of consistently plugging Murray's TV show. 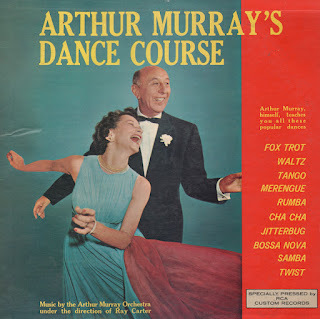 The group of four cover just about every popular dance step, and the back cover of each gives instructions and footwork diagrams for the dance covered in that particular album. The music is nicely performed by Ray Carter and the Murray Ork. 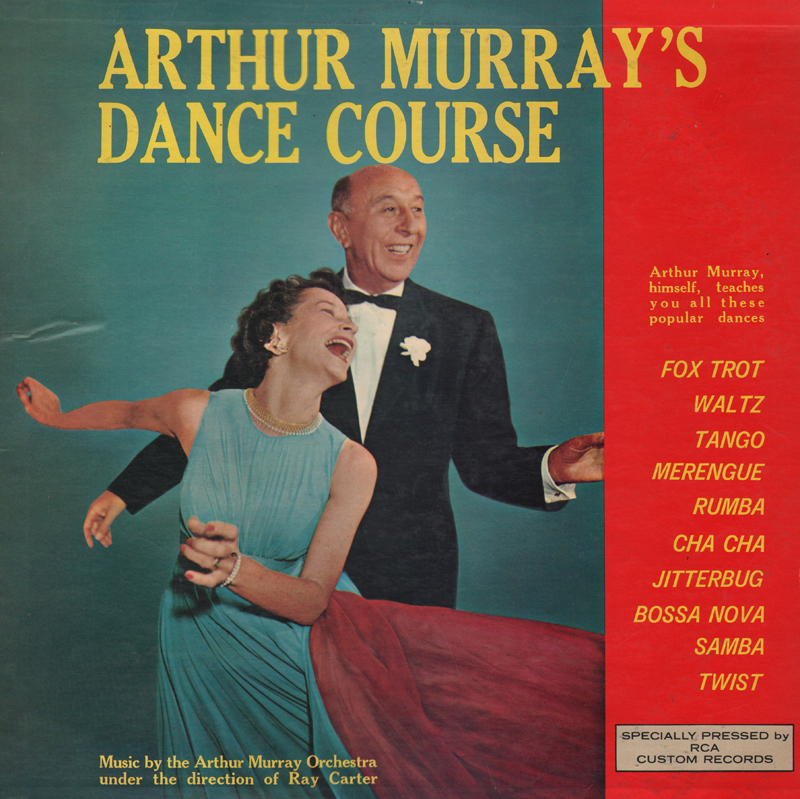 Each cover shows the famous couple on the dance floor. These have solid merchandising value singly, or as a group. From the back cover: Laurindo Almeida was strumming guitar in the Stan Kenton orchestra in the early 1950s, an immigrant from Brazil, where he was born in Sao Paulo on Sept. 2, 1917. His mother, a concert pianist, started him young, but soon he switched from the piano to his sister's guitar and by the time he was 19, Almedia had played concerts in Sao Paulo and Rio and sailed on the liner Cuba, as a musician, as far as Europe. It was in Paris, in 1936, that he first heard the legendary Django Reinhardt with the Quintet of the Hot Club of France. Django excepted a marked influence on Almeida. He returned to Brazil for ten years, learned arranging and composing and, in 1947, undertook the big leap north to Hollywood. Laurindo was hardly an overnight sensation. He scuffled. "I had a strong interest in jazz," Almedia recalls, "and so I went to Stan Kenton. He gave me the big break, even commissioned Peter Rugolo to write some special original charts built around my guitar. I'll forever be grateful. Eventually, as it must to all gifted men, the collaboration ended and Almedia went out on his own. He concentrated on recording, mainly for Capitol, and his renown as a concert soloist spread throughout the post-war world. 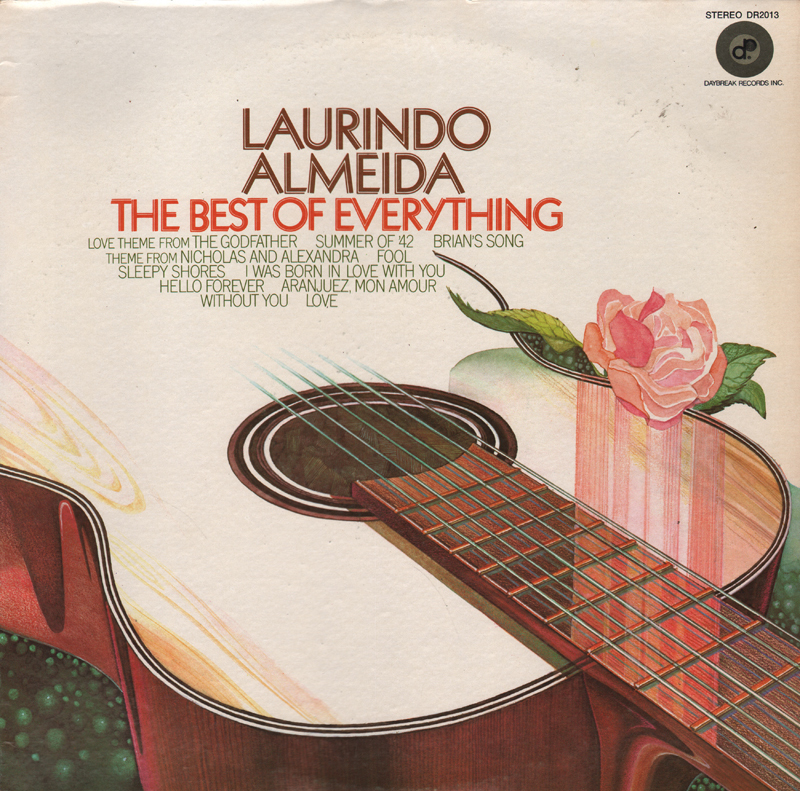 Almeida composed and arranged and played, and he traveled extensively as well. Two epochal recordings by Brazilian composers were made: the Villa-Lobos Guitar Concerto and Radomes Cnatalli's Concerto do Copacabana, discs which are still regarded as definitive. Laurindo Almeida today lives in the Los Angeles suburb of Sherman Oaks, a naturalized American for many years, a teacher of guitar, a gardener, a collector of stringed instruments and fine wines and a health nut – he swims every day of the year just as he did as a boy in Sao Paulo. A Virgo, he takes things as they come, with grace and tolerance. He has won 10 Grammy awards since 1958. He has toured and recorded with the Modern Jazz Quartet in recent years simply because he still loves jazz. "But then," he shrugs, "I like concert work and pop music, too. There is beauty in all music." The supporting sessions guitar player gives the 70s effects pedal a workout on this set. Almeida manages to take that over-used effect in stride and effortlessly blends his clean, classic sound into the mix. As always, Almeida understands how to make his "style" or "sound" work inside of any project concept handed to him. Good stuff! Graphically bold art on the jacket. The set consists of lukewarm arrangements/studio covers. 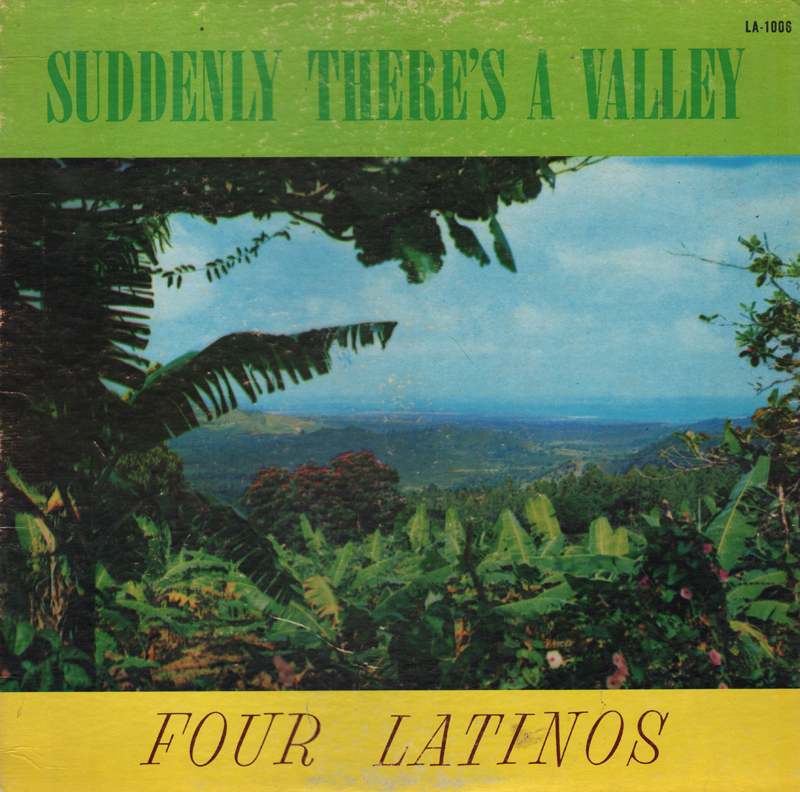 From the back cover: This, and every sacred song in this album, will thrill your soul as The Four Latinos, former Rock and Roll entertainers, "sing" you up the mountain top with their love and devotion to their new found Savior. 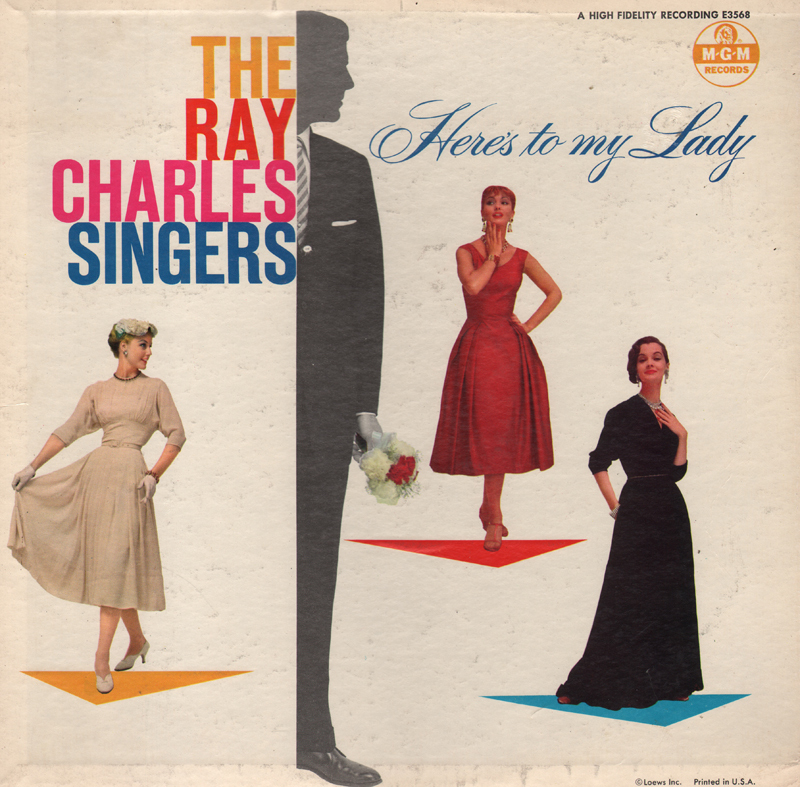 From Billboard - September 2, 1957: Top-notch vocal group provides pleasant listening on several standards and tunes from movies and shows. Set is a fine mood album for jocks and can appeal to those who prefer the conventional group harmonies. 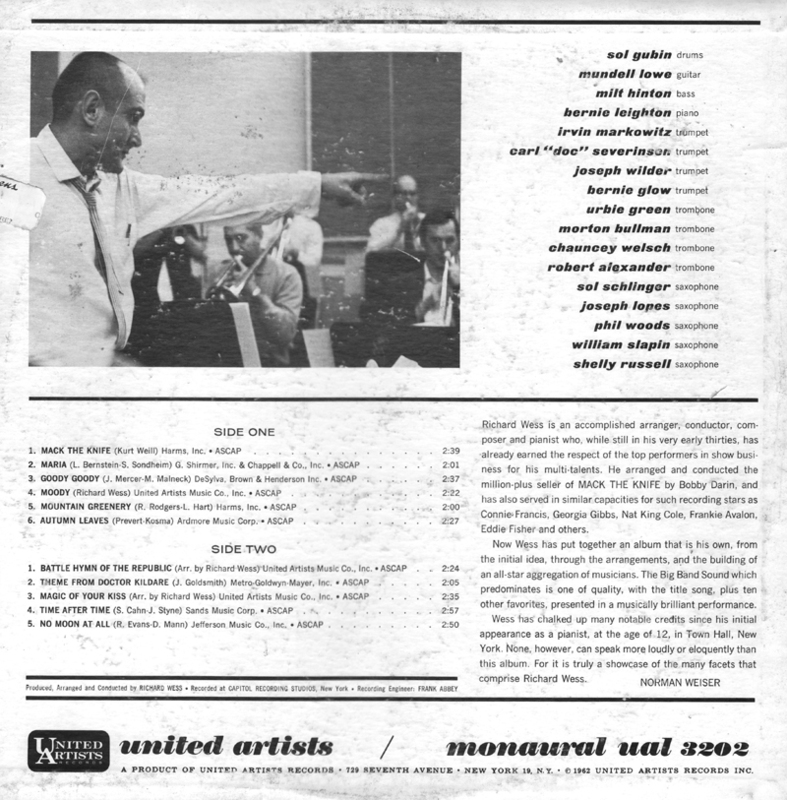 From the back cover: This is basically jazz. Not basic jazz or traditional jazz or Dixieland or any other fashion or past or present held in a rhythmic suspension based on four beats to the bar. It is just what Ruby says it is, a matching up of three informal sessions. In a repertoire consisting largely of jazz standards, ballads and tunes in bright tempos like candy in a window or dancers on a floor, the listener is introduced to new work by old masters (Hawkins, Brown) and to an exuberant diversity of those fresh, unaffected sounds that seem to be increasingly appealing to the jazz public. The instrumental groups and the tunes chosen are thus not haphazard, but planned. 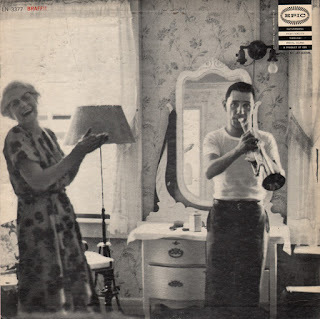 Reminded that he had a reputation for handling the trumpet with dexterity and ease, Ruby said, "Facility doesn't impress me – what people want is something to hear" – which, in a way, is a clue to what this album is all about. Book-fold jacket featuring the inside photo layout as seen above. 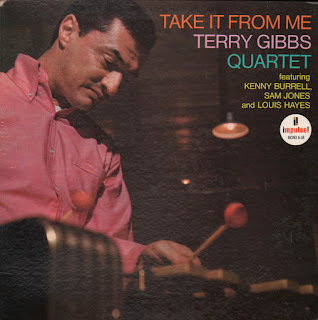 From Billboard - September 12, 1964: Swinging', ring-a-ding-dinging' jazz excitingly served up by Vibist Terry Gibbs in collaboration with Kenny Burrel on guitar; Sam Jones on bass; and Louis Hayes on drums. The sound and temp are bright and creative and a listening delight. The name of Gibbs and Burrell are enough to carry this LP salewise. 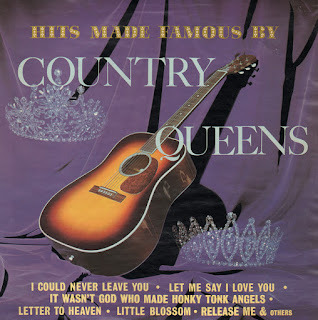 The songs included will also do much along this line. From the jacket notes: Terry Gibbs, a composer as well as a vibist, has constantly been involved with musically progressive ideas in the small group field and in his work with his own large workshop-type band on the West Coast. He has been a vital performer with an inborn beat from the time he managed, as a twelve-year old Brooklyn boy, to drum through The Flight Of The Bumble Bee in forty-five seconds, to win a Major Bowes Amateur Hour. His solo work on the vibes has been heard with the bands of Benny Goodman, Woody Herman, Buddy Rich, Tommy Dorsey, and with innumerable small combinations under his own name. His activities for the past four years have been devoted to his all star big band in Hollywood. From the back cover: Richard Wess is an accomplished arranger, conductor, composer and pianist who, while still in his very early thirties, has already earned the respect of the top performers in show business for his multi-talents. 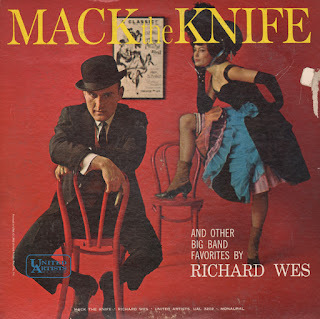 He arranged and conducted the million-plus seller of Mack The Knife by Bobby Darin, and has also served in similar capacities for such recording stars as Connie-Francis, George Gibbs, Nat King Cole, Frankie Avalon, Eddie Fisher and others. Now Wess has put together an album that is his own, from the initial idea, through the arrangements, and the building of an all-star aggregator of musicians. 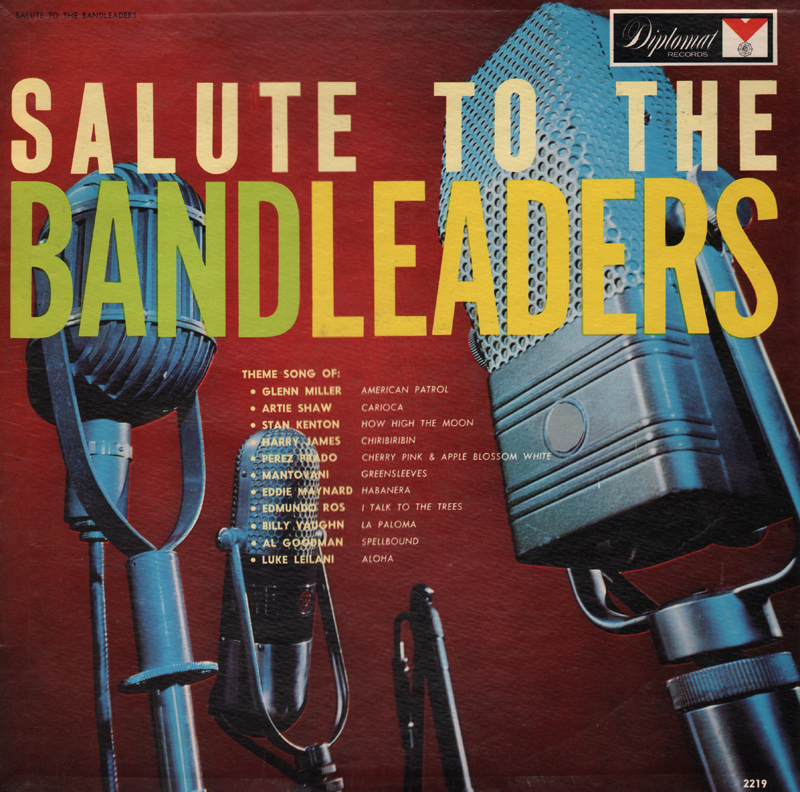 The Big Band Sound which predominates is one of quality, with the title song, plus ten other favorites, presented in a musically brilliant performance. 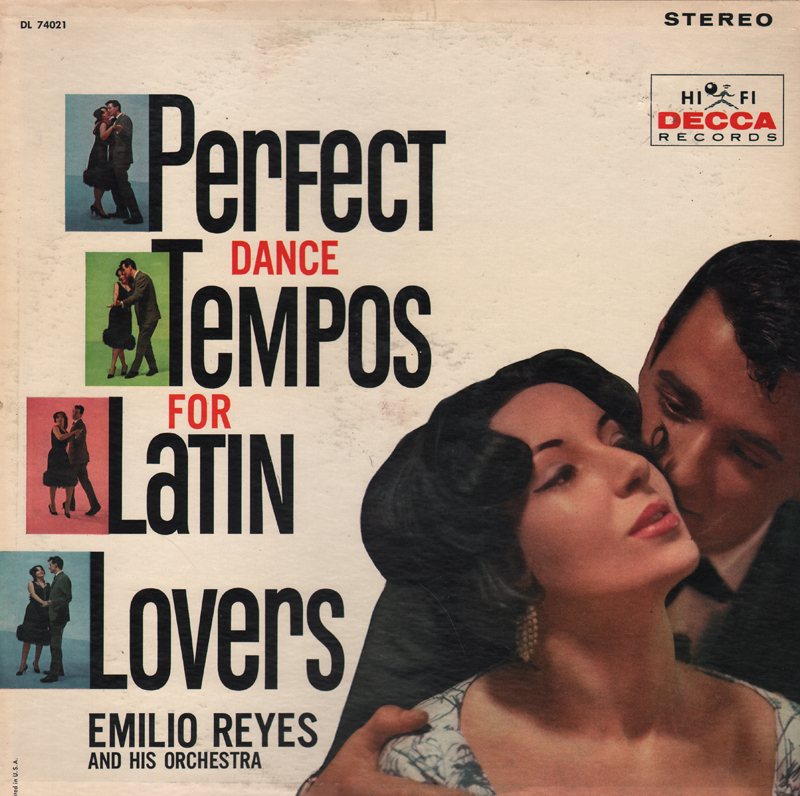 From Billboard - November 7, 1960: Listenable and danceable Latin effort by Emilio Reyes and his orchestra make this a good disk for dance fans. The tunes range from cha cha to mambos and meringues, played in authentic style by the band. 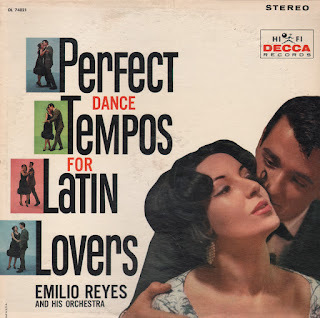 From the back cover: Born in a small Cuban village of Corral Falso (paid tribute to in the chorus of Cha Cha Cha Guajiro), Emilio Reyes almost deprived the world of his music by becoming a dentist, his father's profession. However, through the urgings of one brother, and the aid of another (the latter relieving Emilio of a moral obligation by becoming a dentist himself), he became a musician. After spending two years with his brother's band, the Casino De La Playa, as trumpet soloist and vocalist, he began playing for all the leading bands in Havana. Ultimately, he organized his own group, playing at such popular Havana night spots as the Zombi Club. A theatrical agent, vacationing in Havana, heard Emilio and convinced him to bring his orchestra to the United States. Due to various immigration complications, Emilio lost his entire group enroute, and arrived in the States alone. Undaunted, he organized a new orchestra in time to accept an engagement at Bill Miller's celebrated Riviera, and has since become one of the most important names in the night club and resort circuits throughout the country. He has also appeared on television, and his recordings rank among the most popular with dancers ranging from beginners who have yet to discover there are right and left feet, to the most expert professionals. From Billboard - April 9, 1966: Three girls and three guys from South of the Border have formed one of the most exciting vocal groups to hit the record scene in some time. They sing in the Anita Kerr manner - no words, just sounds. And what sounds. Selections are standards. 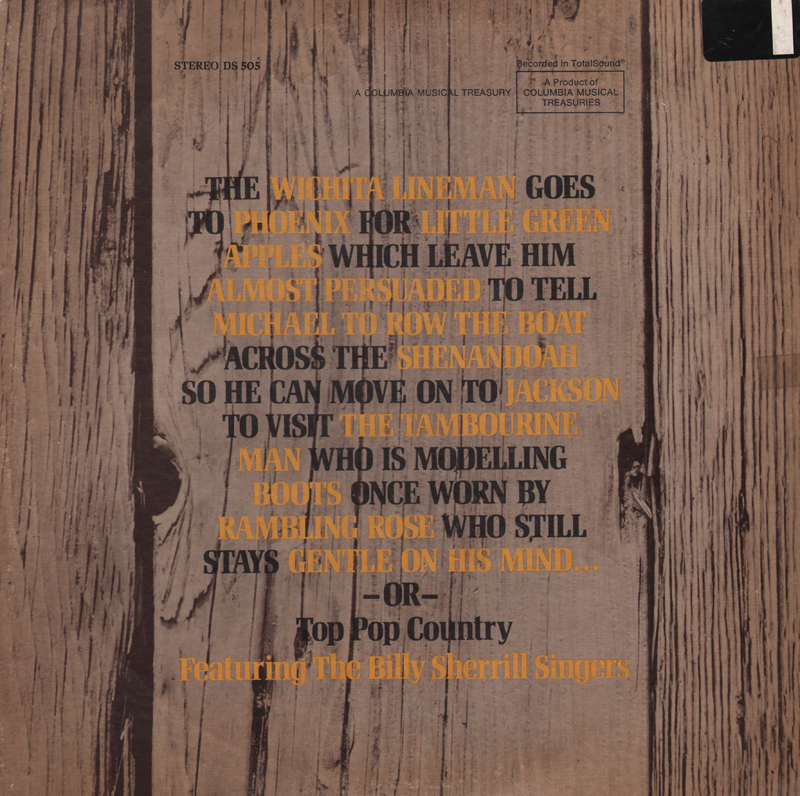 Interesting light pop project that appears to be marketed, from the cover art and back cover copy, as some sort of "folk/pop" album that might appeal to buyers that were looking for "Mexicali or Tijuana Brass" styled albums. 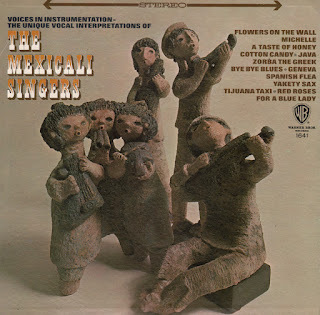 However, the set is light on the "Mexicali and heavy on Anita Kerr Singers light pop vocal treatments. 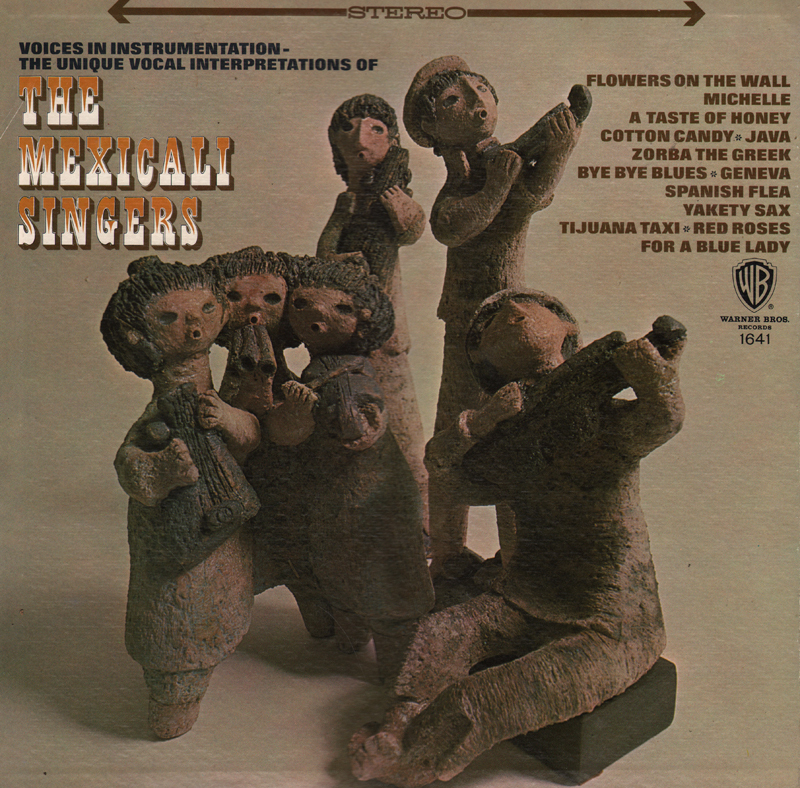 Mexicali group member "bios" included on the back cover are humorous concoctions which seem to have fooled the Billboard reviewer. This is all Anita Kerr and her group of vocalists. Great set that features a cover of The Beatles tune Michelle as the standout track. 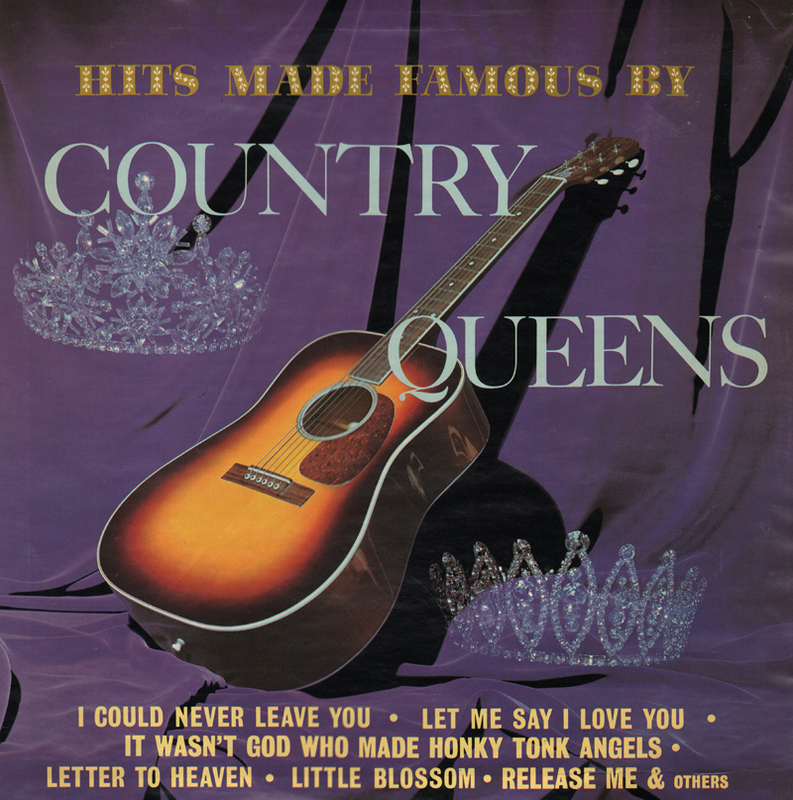 Faye Tucker receives credit on the disc label (only), side 1 for covering Patsy Cline and Dolly Parton on the disc label, side 2, for covering Kitty Wells. The "Tucker" side is filled out with a couple of interesting instrumentals (example above).